This entry was posted on April 5, 2013 at 3:36 am and is filed under Glade. You can follow any responses to this entry through the RSS 2.0 feed. You can leave a response, or trackback from your own site. It’s a lovely house, and that porch is really something to fall in love with. Love your mailbox too. What a great setting for your new together-home! We can see on both your blogs how much fun you’ve had making changes and improvements! Lovely! and it looks even more beautiful now than it did then. I can’t imagine a more perfect house or setting for you two…unless it would be one with a backyard waterfall. You’ve done wonders with the yard, with all the flowers and landscaping you’ve added. It’s a lovely place. Such a great look back! You have done such wonderful things to the house! Thanks for sharing this! Hope you both have a great weekend, George! Wonderful shots from your new house. 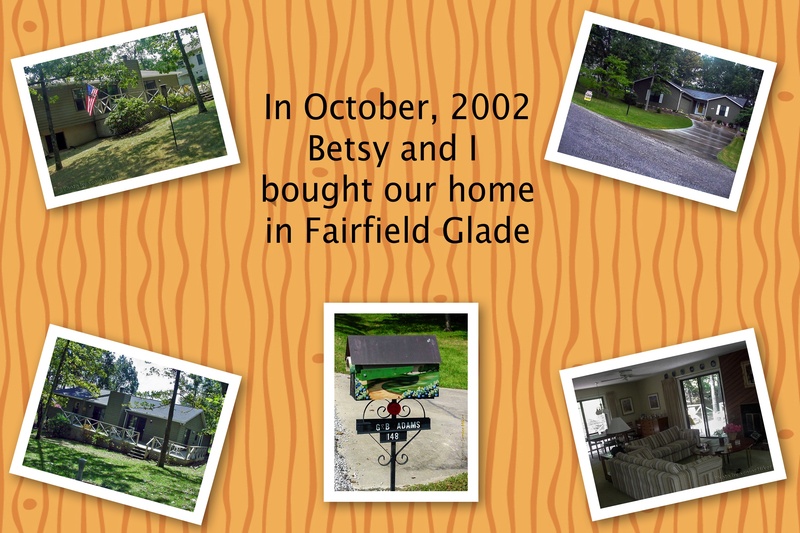 Love your porch….and the improvements you and Betsy have made are perfect! I’ve always loved your house, George. It has everything. a beautiful yard and driveway and i love the deck and sliding doors. It is really a love nest! You’ve really put a lot into improving the loveliness you started with! I like your deck and trees. Looks nice. I enjoy househunting. Maybe I should be a realtor. It is a happy home. This is a lovely house,but it is more than that.You and Betsy have turned it into a home. You do live in a lovely house. Beautiful little house, and so full of love!!! A very beautiful house and wonderful photos. We sold our detached house on countryside to a townhouse last November after living in it nearly 20 years. The town is small, beautiful and what is the best that we have a lake at 20 yards distance from our home. So it can happen also in this way. You have such a lovely house and some of the most beautiful flowers. It’s obvious that you work really hard at it.